The event was organised by a team of undergraduate students who were led by Geography finalists David Saddington and Christopher Vos, who commented that "The reason why we decided to organise this event was to raise awareness of climate change and to engage the public on this vitally important issue. The film screening is a very accessible way to communicate the importance of this issue to the public as they can see these ice giants disappearing before their eyes." David added "I was very fortunate to do my dissertation in Iceland last summer and experienced these changing landscapes firsthand. This was a remarkable experience and I believe the next best thing to seeing the impacts of climate change in person is through documentaries such as Chasing Ice." The outdoor cinema screening was followed by a public discussion in Durham Town Hall entitled 'Climate Change Question Time', an event where the audience could interrogate a diverse panel of experts related to the science of climate change, insurance, media and green policies. Joining the panel were two members of staff from the Department of Geography - Professor Antony Long and Dr Chris Stokes. Stokes commented "Scientists have perhaps been too slow to get their findings and key messages out to the wider public and this event - taking the science to the people - was a fantastic initiative." Chair of the debate, David Saddington, added "The debate was designed not only to clarify the science of climate change by drawing upon expertise from Durham University but also to discuss a pragmatic way of tackling the problem." 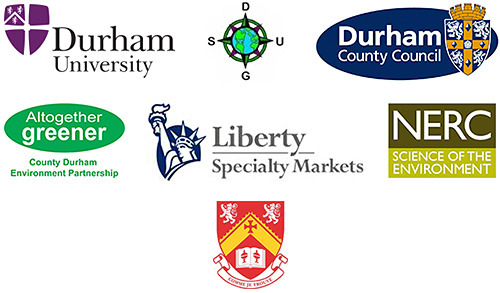 The events were sponsored by Durham University, Durham County Council, NERC, Liberty Specialty Markets, Josephine Butler College and the Altogether Greener Initiative. View a slideshow of the event.